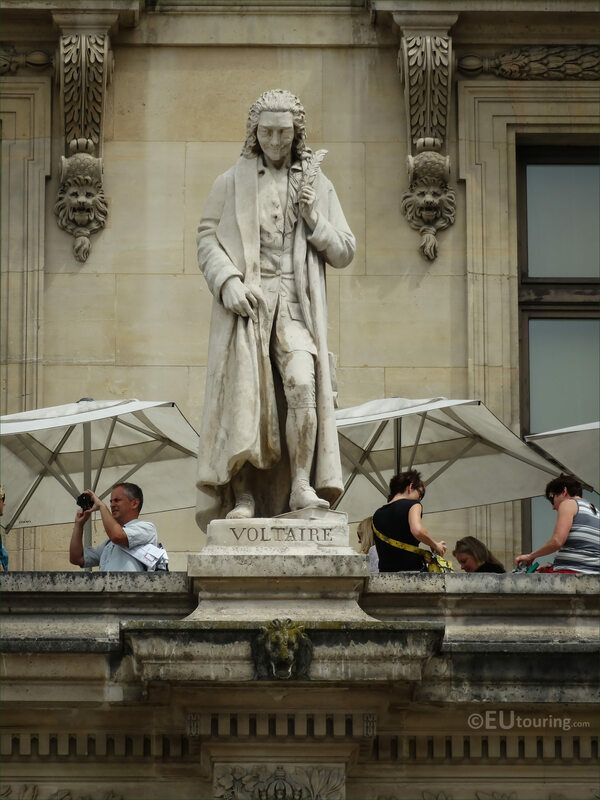 We took these high definition photos showing the statue of Voltaire by Antoine Desboeufs, which is located on the Aile Colbert wing of the Musee du Louvre in the 1st Arrondissement of Paris. 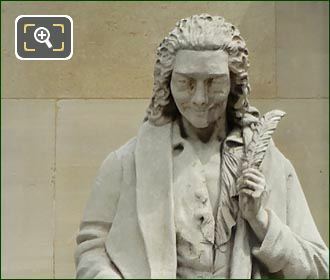 This first HD photo shows the stone statue of Voltaire located on the first level balustrade of the Aile Colbert wing of the former Palais du Louvre, and as you are looking at the facade from the Cour Napoleon courtyards, this is located second from the right had side. 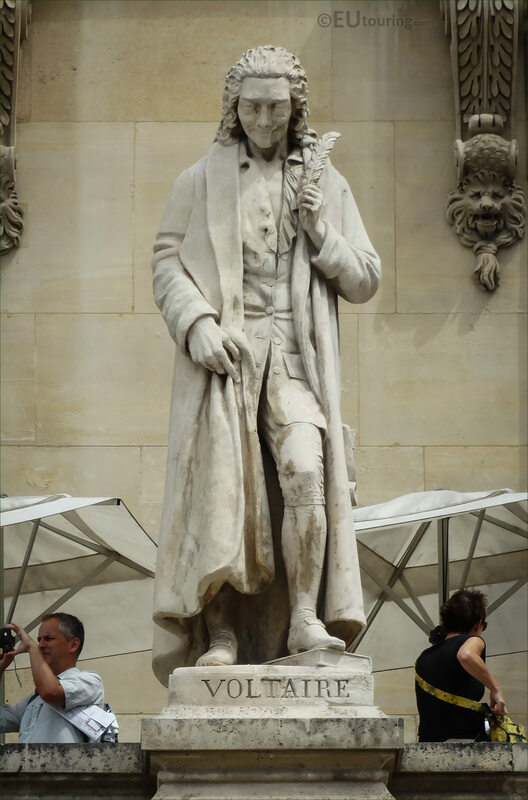 And this statue was produced by Antoine Desboeufs who was born in Paris in October 1793 and became an engraver and medallist, which is what he is most well known for, although as you can see from this image, he was also a French sculptor and even produced some statues for a fountain at the Place de la Concorde prior to passing away in Passy in the July of 1862. So this last image shows the base of the statue with its name inscription, which is dedicated to Francois-Marie Arouet who was born in 1694, and becoming a French Enlightenment writer, a historian and philosopher, he used the pen name of Voltaire, which is actually an anagram of how his true surname would be written in ancient Latin. 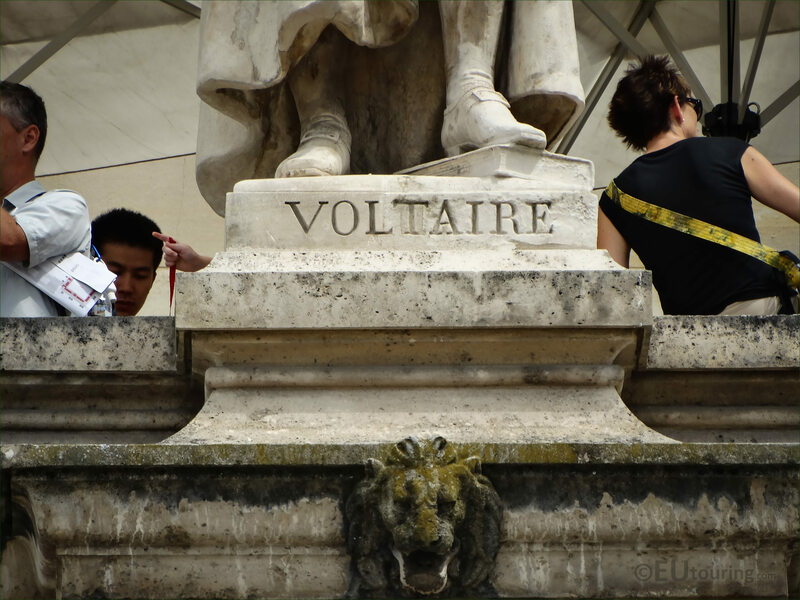 Now Voltaire was very versatile writing plays, poems, novels and essays along with historical and scientific works, writing more than 20,000 letters and over 2,000 books and pamphlets during his career, yet he was outspoken on his views, which meant he was imprisoned at the Bastille on more than one occasion and had been in exile as well. And it was it was the year he passed away that he returned to Paris for the first time in around 20 years to see the opening of his new play, but always criticising the church, he was buried secretly in Champagne. 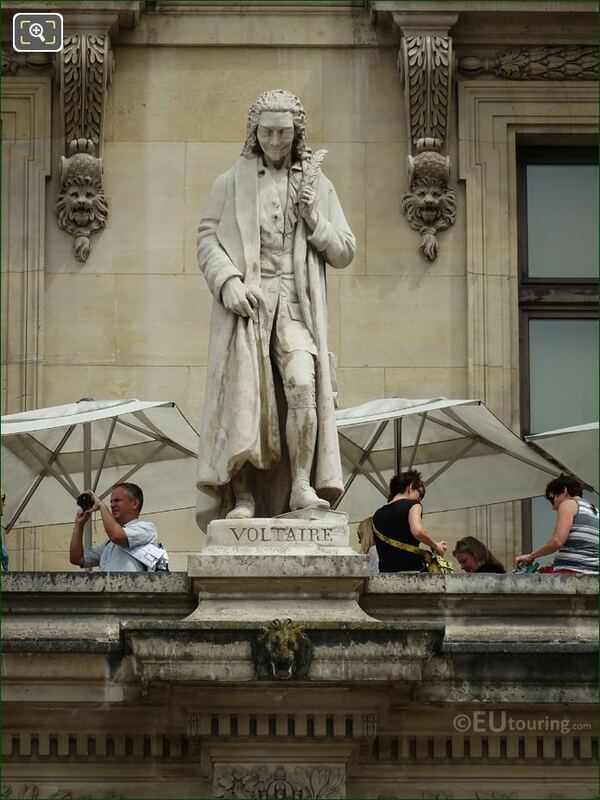 Yet in 1791, his remains were brought back to Paris and with a state funeral, was interred in the Pantheon, and Voltaire is still remembered today for fighting for civil rights, fair trial and freedom of religion.